but the password reset is not seem to work. My question/problem is adding images to repeatable fields. I currently have a form that has 2 fields. This way someone can find an issue, write a description of the issue in the TEXT field, and upload a picture of it in the image upload field. Of course these are REPEATABLE fields, so they can report any number of items. I want to have these show up on my form…. Are images supported in repeatable fields??? How can I be a beta for the new version??? any updates to not being able to login? the password reset does not seem to be working. Additionally, does the repeatable fields on Formidablepro2pdf support images? I am a current customer, is it possible to get access to the beta? Merging images does not work within repeatable sections. 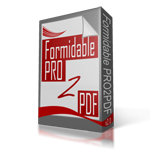 We see you have already installed the E2Pdf plugin and are in communication with support. We apologize for the issues you are having with the login process. Your password has been manually reset and the temporary credentials were sent to the email address listed on the account.